These are not great toys, but they are decently sized, bugger than most American Fast Food toys. Each has an “action” feature, though that is being a bit generous. These do not transform. 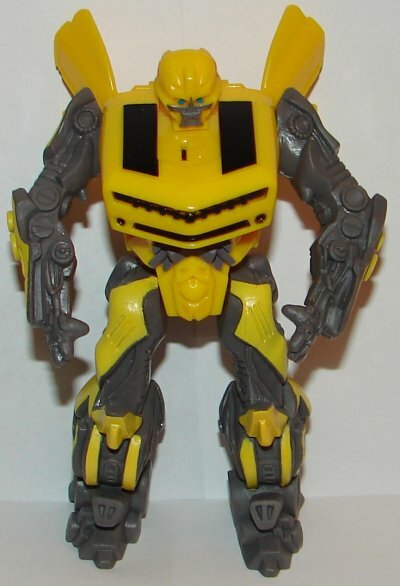 Bumblebee actually has a voice chip. It’s very soft, and honestly I’m not sure exactly what it says. It’s pretty low quality. With the exception of his really odd head sculpt, the toy is pretty nicely molded. 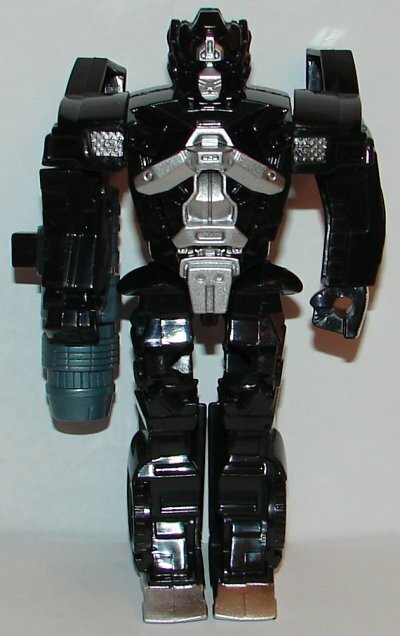 Ironhide has a button of the side of his cannon that makes the barrel spin. Not the best looking of toys. 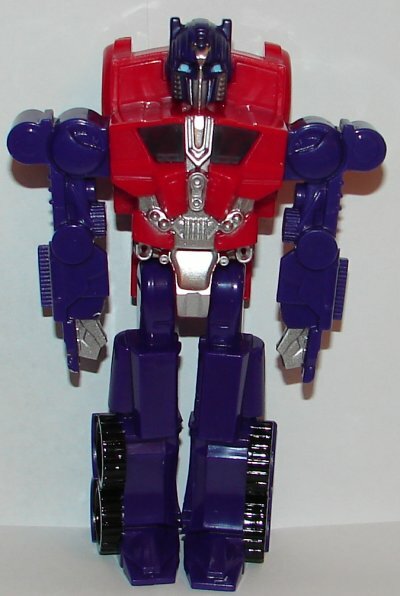 Optimus prime is not bad looking. Not great either, but I’ve seen a lot worse. His chest lights up when a button is pressed. 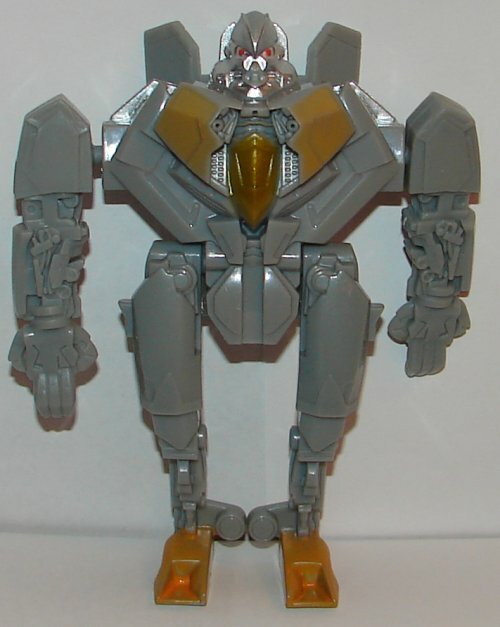 Starscream allegedly has color change paint on his chest and feet. I really can’t confirm it actually works. He’s a decent enough mold, but nothing really special. 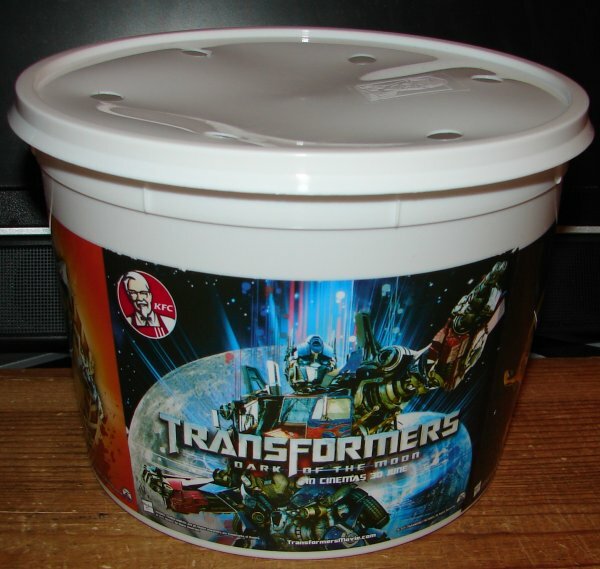 I also have a chicken bucket from the promotion. This entry was posted in Toy Reviews, Toys, Transformers and tagged Bumblebee, Dark of the Moon, Ironhide, Kentucky Fried Chicken, KFC, Optimus Prime, Philippines, Starscream, Toys, Transformers, Transformers Dark of the Moon. Bookmark the permalink.